It is important to remember to submit a tax return on an annual basis and pay any outstanding tax debt you owe to the IRS. The IRS carefully monitors all incoming tax returns and failure to either submit a tax return or pay outstanding taxes can result in swift communication from the IRS. 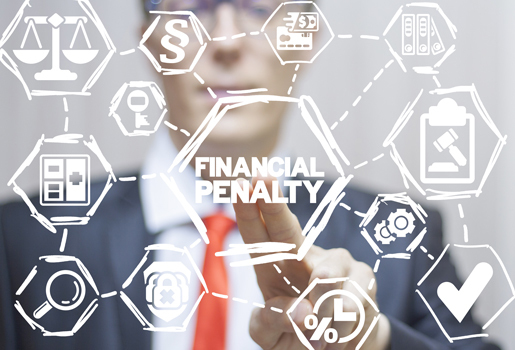 If ignored, this can quickly spiral out of your hands and you may find yourself under close scrutiny or have to pay California state tax penalty fees. To avoid this stress, why not contact Tax Defense Partners for a free consultation? Speak to a Tax Expert about California Tax Debt Relief. Contact us now! What Happens When You Don’t Pay Federal & California State Tax? What is the next step after giving a California tax debt relief lawyer my financial information? Whether you are an individual or a business taxpayer, once we have received all your financial information and letters from the IRS, we will be in a position to undertake a full investigation and start to mitigate on your behalf. Will you be able to reduce the amount of taxes I owe? We will need to consider all the information, and only then we will be able to negotiate with the IRS. However, we have been successful in reducing the overall debt for many of our clients. What if I cannot pay the IRS what I owe in back taxes? There are always other options available, so do not panic. The first step is to secure our services and then we will be able to negotiate on your behalf, so you can pay the lowest possible amount for tax debt repayment. Depending on your circumstances, you may be entitled to various tax relief options, or we may be able to agree to an installment plan that falls within your repayment capabilities. Hire The Best Tax Debt Defense Team in California Today! If you are feeling stressed about your settling your outstanding tax debt, have failed to keep up to date with your taxes, or have any questions about tax debt relief in California, Tax Defense Partners is ready to help. We have more than 20 years of experience and are the leading experts in the tax debt relief industry. Let us help release you from any tax debt. Request a free tax expert consultation or call us at 800-600-4300 today!